Beethoven wrote his music for pianoforte and cello in an age when the piano sounded very different than it does today. That has not stopped us from appreciating his cello-piano sonatas and variations as played on modern instruments. In the right hands they never fail to enchant. Yet an original instrument experience of the music, it turns out, is rather different, though no less enchanting.Matt Haimovitz & Christopher O’Riley, cello and piano, respectively, have given us a most pleasant surprise in their complete recording of the complete Beethoven oeuvre for cello and piano on such period instruments, in a 2-CD set entitled Beethoven, Period. (Pentatone Oxingale Series 5186 475). They utilize vintage instruments, tune to A=430 in keeping with various tunings of the era, and use the untempered tunings, all of which gives the music a decidedly different cast. The music has a resonant sweetness with the tuning, sounds startlingly different in key modulations and, because of the lower general volume levels of the piano in those days, gives the cello part a prominence and an overall transparency of parts you don’t get in modern instrument versions. Haimovitz & O’Riley seem very at home in with the old resonances. Indeed their performances are detailed and filled with brio in the very best ways. They succeed capitally. Yet it all comes across in a wonderfully refreshing way. 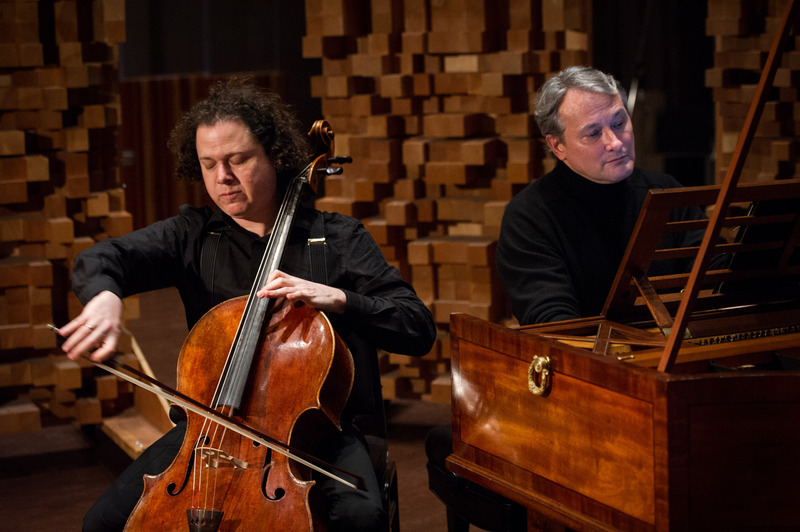 Tags: Beethoven, cello, Christopher O'Riley, fortepiano, Matt Haimovitz, period.